Are you ready to assemble your smartphone from individual parts? Google’s Project Arawants to make that happen, and it’s just taken an important step forward with its own developer conference. The first of three Project Ara conferences will take place April 15-16, according to the Ara site. It’ll actually be held online, letting developers from anywhere join, although Google will host a small in-person gathering at the Computer History Museum near its headquarters in Mountain View, Calif. When Google sold Motorola to Lenovo, it made sure to keep the company’s Advanced Technology And Products (ATAP) group, whose mission is aligned with other Google “moonshot” projects: to push technology forward by leaps and bounds, not increments. Project Ara is Google’s moonshot for the smartphone world: It aims to break the device down into its various components — camera, processor, storage, etc. — and let owners purchase them separately to upgrade or enhance their experience to their liking. As Google describes it, Ara will do for mobile hardware what Android did for mobile software. The project is interesting and ambitious, even though it’s unclear if anyone really wants a modular smartphone. In any case, the (planned) price is right: Google wants to start by selling a stripped down phone, without even a cellular connection, for $50. While the device would perform only as a basic smartphone, adding more modules would enhance its abilities to meet its owner’s needs. The coming conference will give developers a detailed overview of what Ara will be. Just before the event Google plans to release the Ara Module Development Kit. Although Google notes that it’ll give priority to in-person attendees, it’s not closing the doors on the conference — the company encourages both non-developers and enthusiasts to join via livestream. Google plans to release the conference’s agenda in the next few weeks. No dates yet on the other two conferences, but Google says they’ll take place in 2014. 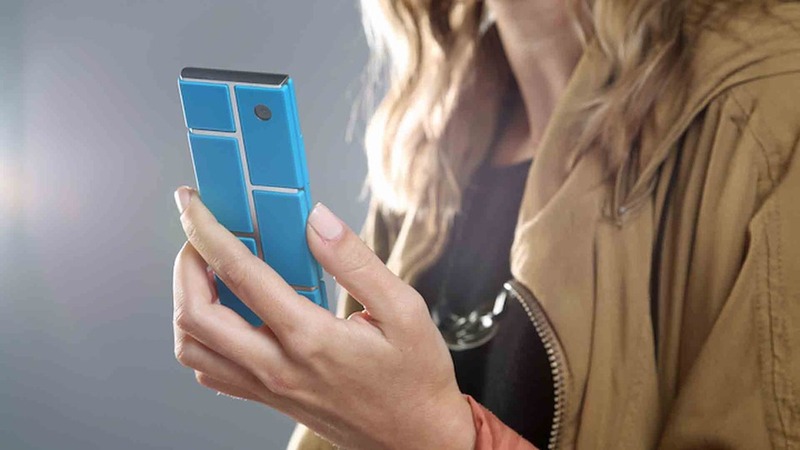 In conjunction with the announcement, Google launched a @ProjectAra Twitter account. Twitter-owned Crashlytics, a mobile company focused on crash reporting technology for apps, is testing a new tool that allows developers to beta test their apps with real users. The “beta distribution tool,” as it’s called in the company’s recent blog post, lets developers ship early versions of their iOS or Android mobile apps to users in order to test for bugs and receive feedback. The distribution tool from Crashlytics is also in beta mode. Interested developers need to apply in order to gain access. In other words, it’s a beta version of the tool for apps in beta. This is the first time that Crashlytics or Twitter has ever offered a tool for developers looking to test their beta apps. In the early 1970s’ when I was in college, computers were huge and incredibly expensive so that only governments and the largest corporations could afford them. So computer time was very valuable and was sold (or rented) on a minute by minute basis. For our computer classes or any computer use, we had to write our programs then go to a room with specialized machines and type our program onto computer cards. Then we gathered up the cards, waited in line for a “computer technician” to feed them into the computer. After a length off time, minute to hours, when the computer got to our low priority work it would print out the results. Typos or out of order cards meant back to where the mistake was and recreate the program. Incredibly time consuming. PCs were such a blessing, but cost in the range of $3,000 each. Trivial fact: A computer manufactory named Commodore said they would reduce the price of their computers when they paid their factory off. Somewhere in the mid to late eighties they paid it off and lowered the price of an IBM PC from the $3,000 range to $1500 or less than a thousand dollars depending on the computer. Now almost everybody could afford one and time sharing on computers became a thing of the past. Software as a service (SaaS; pronounced /sæs/ or /sɑːs/), sometimes referred to as “on-demand software” supplied by ISVs or “Application-Service-Providers” (ASPs), is a software delivery model in which software and associated data are centrally hosted on the cloud. SaaS is typically accessed by users using a thin client via a web browser. SaaS has become a common delivery model for many business applications, including Office & Messaging software, DBMS software, Management software, CAD software, Development software, Gamification, Virtualization, accounting, collaboration, customer relationship management (CRM), management information systems (MIS), enterprise resource planning (ERP), invoicing, human resource management (HRM), content management (CM) and service desk management. SaaS has been incorporated into the strategy of all leading enterprise software companies. One of the biggest selling points for these companies is the potential to reduce IT support costs by outsourcing hardware and software maintenance and support to the SaaS provider. Centralized hosting of business applications dates back to the 1960s. Starting in that decade, IBM and other mainframe providers conducted a service bureau business, often referred to as time-sharing or utility computing. Such services included offering computingpower and database storage to banks and other large organizations from their worldwide data centers. The expansion of the Internet during the 1990s brought about a new class of centralized computing, called Application Service Providers (ASP). ASPs provided businesses with the service of hosting and managing specialized business applications, with the goal of reducing costs through central administration and through the solution provider’s specialization in a particular business application. Two of the world’s pioneers and largest ASPs were USI, which was headquartered in the Washington, D.C. area, and Futurelink Corporation, headquartered in Orange County California. Whereas most initial ASPs focused on managing and hosting third-party independent software vendors‘ software, as of 2012 SaaS vendors typically develop and manage their own software. Whereas many initial ASPs offered more traditional client-server applications, which require installation of software on users’ personal computers, SaaS solutions of today rely predominantly on the Web and only require an internet browser to use. Whereas the software architecture used by most initial ASPs mandated maintaining a separate instance of the application for each business, as of 2012 SaaS solutions normally utilize a multi-tenant architecture, in which the application serves multiple businesses and users, and partitions its data accordingly. The SAAS acronym allegedly first appeared in an article called “Strategic Backgrounder: Software As A Service”, internally published in February 2001 by the Software & Information Industry Association’s (SIIA) eBusiness Division. We are being watched. We see online ads from websites we’ve visited, long after we’ve moved on to other interests. Our smartphones and cars transmit our location, enabling us to know what’s in the neighborhood but also enabling others to track us. And the federal government, we recently learned, has been conducting a massive data-gathering surveillance operation across the Internet and on our phone lines. In Dragnet Nation, award-winning investigative journalist Julia Angwin reports from the front lines of America’s surveillance economy, offering a revelatory and unsettling look at how the government, private companies, and even criminals use technology to indiscriminately sweep up vast amounts of our personal data. As digital readership continues to grow, along with readers’ willingness to pay for content, digital publications are creating new places for advertisers to generate revenue. Tablet publishing enables retailers, brands, and organizations to get up close and personal with their consumers in new, imaginative ways. Tablets create alternative experiences, sort of like Alice being pulled through the Looking Glass into Wonderland. Gone are the days of glossy magazines. Today, one in four households has a tablet sitting on the coffee table, which a person can use to digitally engage with thousands of magazines, stores, and more. In fact, around the world, consumers have downloaded more than 100 million digital publications. As digital readership continues to grow, along with readers’ willingness to pay for content, digital publications are creating new spaces and places for advertisers to generate revenue. Tablets seem to be a win-win for everyone. A hearing aid that wirelessly streams audio from an MP3 player. Google Glass with visual recognition. A bracelet that lets friends send each other “smiles.” These are just a few of the devices forging the future of wearable tech. From personalized medicine to fashion, wearable technology is making a splash in the tech world. In honor of National Engineers Week (the third week in February), Live Science chatted with two engineers about some of the promises and challenges of this evolving field. Medical devices were one of the first applications of wearable tech. Devices such as hearing aids have been around for decades. But what if hearing aids could stream audio directly from a music player? “That’s where I see the future — integrating technology with the rest of the world around a user,” said Kalyani Malleia, a senior systems engineer at Starkey Hearing Technologies, a hearing technology company based in Eden Prairie, Minn.
Wearable tech has infiltrated the consumer health market, too. Fitness trackers, GPS watches and blood-pressure monitors are just a few of the devices that allow individuals to record and track their health, andshare that information with their social network — almost like a “diary of your life,” Shaddock said. As devices get smaller and more efficient, they will become increasingly common, he added. Wearables will perform many of the functions of today’s personal computers. Systems such as Google Glass have been experimenting with projecting a screen in front of the eye, which eliminates the need for a screen. For example, new software and apps will allow users to look at the name of a restaurant or bar and instantly view reviews. Communications technology will shift more toward wearable devices, Shaddock predicts. 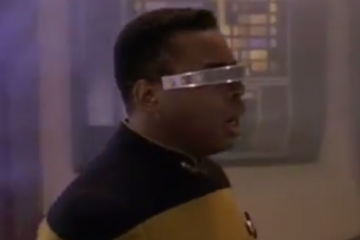 Reminiscent of the VISOR worn by the character Geordi La Forge in “Star Trek: The Next Generation,” which restored his damaged vision by detecting electromagnetic signals and transmitting them to an implant in his brain, wearables are being created to assist people who are disabled. For instance, eye- and head-tracking technology is allowing people who are paralyzed and unable to speak use computers to communicate. Of course, some wearable-tech applications could be considered novelties. So-called smile bracelets allow friends to send each other vibrations, or “smiles,” remotely. The applications of wearable technology are limited only by people’s imaginations, Shaddock said. With more and more devices measuring personal data and uploading it to computer networks, security is definitely a concern, experts say. Indeed, even as engineers develop the technologies, others are working to crack them. Encrypting devices takes computing power, but as the cost of computing goes down, it gets easier to add more encryption. “It’s always going to be a challenge, but the technology is there to solve the problem,” Shaddock said. The glass is cool,but an awful lot of the rest is fiction. It would be wonderful where the kids get up and get ready for school without fussing and arguing, no traffic going to work and more. just a perfect day! It is cool that technology is getting smaller more powerful and cheaper. This has been true sine at least the early twentieth century and isn’t going to change. One thing to remember, the older you get the more effort is required to see small type and objects. What is PHP? PHP (recursive acronym for PHP: Hypertext Preprocessor) is a widely-used open source general-purpose scripting language that can be embedded into HTML. This means every browser will recognize PHP and the user will get the same response. A scripting language is used to write ‘scripts’ which are short programs that automate tasks. Describe general usage of PHP: PHP can be used to generate dynamic page content, can create, open, read, write, close files on my server It can encrypt data, collect form data, send and receive cookies, can modify data in a database and can restrict users access to pages on my website. Explain basic PHP syntax: A PHP script begins with ‘<?php’ and ends with ‘?>’. A PHP script can be placed (embedded) anywhere in an HTML document. A PHP script normally contains some HTML tags and some PHP scripting code to accomplish a task. Explain how PHP can be applied to a website: If the server has activated support for PHP you do not need to do anything. Just create some .PHP files, place them in your web directory, and the server will automatically execute them for you. You do not need to compile anything or install any extra tools. Because PHP is free, most web hosts offer PHP support.